The MMA landscape is always in flux with promotions putting on fight cards more frequently than ever. Whether it’s the UFC, Bellator MMA or international promotions like ONE FC, fighters are constantly jockeying for position on the ladder of title contention and in the eyes (and rankings) of the fans and media. Every month, The MMA Corner’s writing staff will rank each weight class from heavyweight to flyweight, as well as the pound-for-pound rankings. The staff’s individual rankings will then be compiled to determine each month’s overall rankings for the entire site. See below for this month’s edition of The MMA Corner’s Fighter Rankings. Note: The number in parentheses represents the fighter’s ranking from last month. It looks like there will be a rematch for the Bellator heavyweight title now that Alexander Volkov defeated Blagoi Ivanov at Bellator 120. The victory awarded the Russian the season-10 heavyweight tournament championship, and therefore earns him another chance against Vitaly Minakov. Minakov took the title from Volkov at Bellator 108. 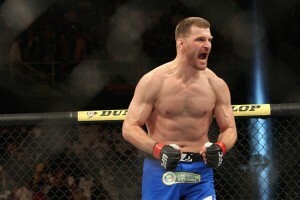 Stipe Miocic made short work of Fabio Maldonado in the main event of The Ultimate Fighter: Brazil 3 finale. Miocic was originally supposed to take on former champion Junior dos Santos, but an injury resulted in a change of opponents. Maldonado moved up in weight specifically for this fight, but, after lasting only 35 seconds, he may want to reconsider if an opportunity like this comes again in the future. Miocic, an Ohio native, may not have moved up in the rankings due to the fact that he was a clear favorite in the fight, but he went out and proved what he needed to prove with the dominant victory. On the same card, Antonio Carlos Jr. earned the title of Ultimate Fighter after a dominant decision victory against Vitor Miranda. Soa Palelei won by knockout against Ruan Potts at UFC Fight Night 40. 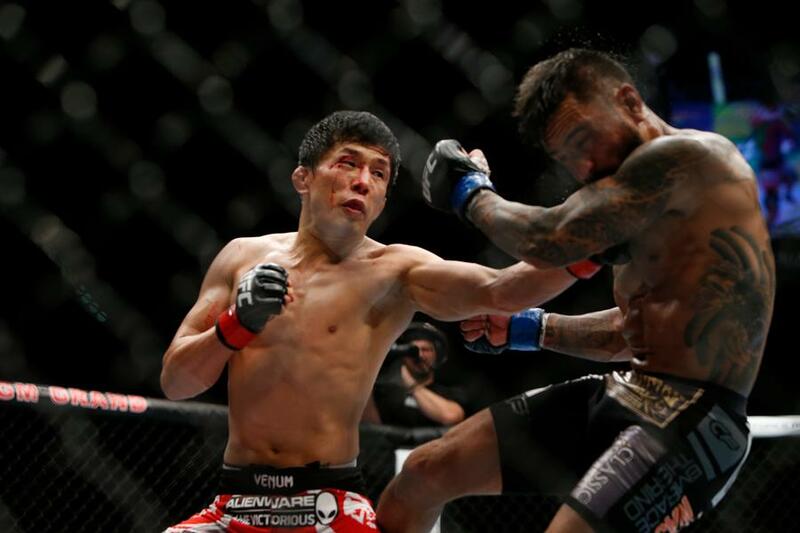 The win improves Palelei’s promotional record to 3-0. He will have a quick turnaround and fight in June against Jake Rosholt. June will also mark the return of the “Pitbull” to the Octagon when Andrei Arlovski takes on Brendan Schaub at UFC 174. Arlovski wore the UFC heavyweight belt for the first time back at UFC 51, but he hasn’t been inside the Octagon since March 2008. 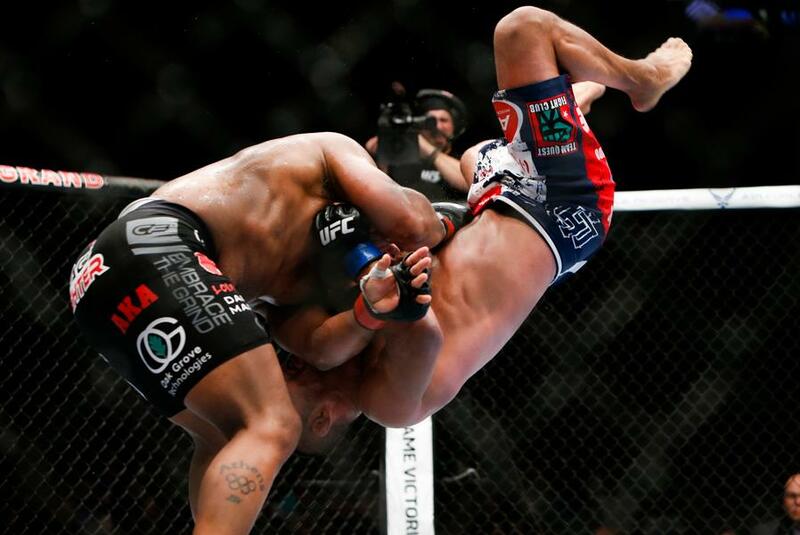 Daniel Cormier once again proved dominant in what was his second light heavyweight fight at UFC 173. The former heavyweight dominated the entire fight against Dan Henderson and at points threw “Hendo” around as if he was a pillow en route to the third-round submission victory. 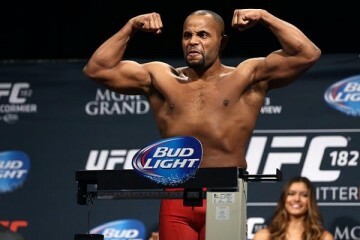 One of the biggest questions that Cormier faced in becoming a light heavyweight was whether or not he would even be able to cut down to 205 pounds, let alone make the cut and be an effective fighter. Twice, he has proved that he is more than capable of fighting effectively within his new divisional home, and fighting for the light heavyweight championship is more of a reality than ever. Speaking of title shots, Quinton “Rampage” Jackson earned his shot for the Bellator light heavyweight title with a victory over Muhammed “King Mo” Lawal at Bellator 120. It was a controversial split decision where the judges awarded the bout to the fighter who was trying to persue the finish rather than the one who had more control throughout the fight. The question at this point is whether or not Rampage will take the title fight. Bellator light heavyweight champion Emanuel Newton is not only the titleholder, but a teammate of Jackson’s, which creates an uncertain situation. On the same card, Tito Ortiz returned to the win column when he defeated middleweight champion Alexander Shlemenko. The fight ended by first-round submission, and at no point did the undersized Russian control any of the action. In June, the Bellator Summer Series will kick off and feature the opening round of the 205-pound tournament. An exciting light heavyweight match-up in July just got even more exciting, depending on how you look at it. While the grudge match that would have taken place been Chael Sonnen and Wanderlei Silva was sure to deliver, Silva has now been replaced by another Brazilian, Vitor Belfort. The grudge match will have to wait, as Silva missed a meeting with the Nevada State Athletic Commission and was therefore not able to gain a license to fight against Sonnen. It wasn’t exactly the busiest month for the 185-pound division, but we’re at the calm before the storm. Bellator middleweight champion Alexander Shlemenko fell to Tito Ortiz in a light heavyweight contest at Bellator 120. Although the loss was at 205 pounds, the combination of the loss and the dominant victory by Gegard Mousasi over Mark Munoz caused the Russian to be replaced in the rankings by Mousasi. Costa Philippou was able to return to his winning ways with a knockout victory over Lorenz Larken, but that is minor compared to having former light heavyweight champion Lyoto Machida challenge Chris Weidman for the UFC middleweight title next month. Whether you buy into it or not, there are people out there who still doubt Weidman after what could be two bizarre victories against former champion Anderson Silva. The victories do not have asterisks next to them, and the “All-American” is indeed the champion, but many still feel as though he has a lot left to prove. Unfortunately, we’re going to have to wait a month to get to see the fight, but the wait will surely help in the building of anticipation. A new Ultimate Fighter was crowned when Warlley Alves choked out Marcio Alexandre Jr. Despite controlling the first two rounds, Alves continued to seek out the finish, which he finally earned in the third frame. It may go down as one of the best fights in the history of the UFC, let alone that of the welterweight division. It was an amazing match where one fighter was hurt badly early, yet somehow managed to crawl back and overcome the early struggles to win the fight. That was the tale of Matt Brown taking on Erick Silva in the main event at UFC Fight Night 40. The Brazilian landed a slick body shot in the first round that dropped Brown, but Brown was able to dig deep and regain control of the fight. There were a couple of times in the second and third rounds where Silva was able to land more body shots, and it was clear that they were doing damage. However, “The Immortal” was able to extend his winning streak to seven with a TKO. The other key victory for the 170-pound weight class came from Robbie Lawler, who was able to earn a TKO of his own over Jake Ellenberger at UFC 173. 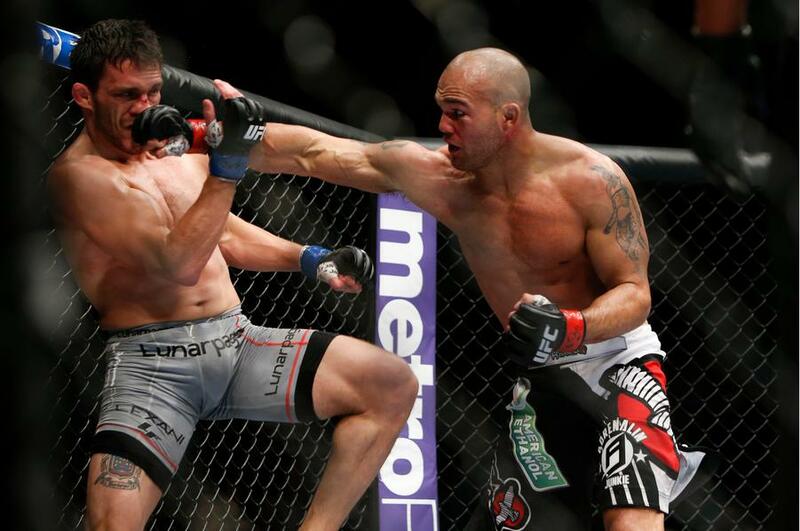 It was the first fight for Lawler since his loss to Johny Hendricks for the title, and he came back with a vengeance. Now it has been made official that Lawler will battle Brown in the main event at UFC on Fox 12, with the winner getting the next title shot. The key match-up for June will take place at UFC 174, where Tyron Woodley locks horns with Rory MacDonald. Ben Askren kept his undefeated record intact by submitting Bakhityar Abbasov via rear-naked choke in the first round of their fight. Although brief, there was a moment where “Funky” looked vulnerable as Abbasov was able to take down the American and put him on his back. However, it wasn’t long before Askren reversed the position and gained control. It was going to be the most anticipated fight in Bellator’s young history, but it never came to be. Eddie Alvarez was going to put his lightweight title on the line against Michael Chandler at the Bellator pay-per-view last month. Unfortunately, an injury forced Alvarez out of the fight in the week leading up to the event, which caused the promotion to insert Will Brooks into the co-main event against Chandler for the interim lightweight championship. Brooks was able to shine in the opportunity and, after five hard rounds, he captured the interim title. Two of the three judges scored the fight in favor of Brooks, in what was an extremely close decision. Although Bellator higher-ups won’t come out and say it, Chandler losing is a big disappointment in the sense that a trilogy match-up against Alvarez is unlikely to happen in the near future. 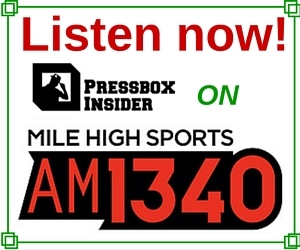 In the meantime, the loss for Chandler dropped him from the rankings, while the victory propelled Brooks into the rankings for the first time. Next month, Benson Henderson has a chance to get back in direct title contention when he battles Rustam Khabilov in the main event of UFC Fight Night 42. Khabilov has gone 3-0 during his time inside the Octagon, and a win for either fighter could be enough to make a case for the next spot in line after reigning champion Anthony Pettis takes on Gilbert Melendez in December. Back on January 14, 2012, Jose Aldo successfully defended the UFC featherweight championship title against Chad Mendes at UFC 142. For the most part, Mendes controlled a lot of the grappling and the pace in the first round, but the Brazilian landed a beautifully thrown knee with just one second left in the stanza to knock out Mendes and keep the title around his waist. Since the defeat, the American has won five straight fights. He has finally earned the right to rematch Aldo. Their fight will take place at UFC 176 in August. Daniel Weichel submitted Desmond Green at Bellator 119 to capture the season-10 featherweight tournament championship. With the win, Weichel is now guaranteed title shot. Many had considered Renan Barão as one of the top pound-for-pound fighters in the world, and by far the best 135-pound fighter on the planet. He had torn through the competition while fighting in the WEC and UFC en route to capturing the interim UFC title, which eventually turned into the outright UFC title. Along the way, he defeated top contenders like Eddie Wineland, Michael McDonald and Urijah Faber (not once, but twice). But all of that means nothing now, after T.J. Dillashaw dominated the Brazilian throughout all five rounds of their fight before finding a way to earn the stoppage via TKO in the fifth. 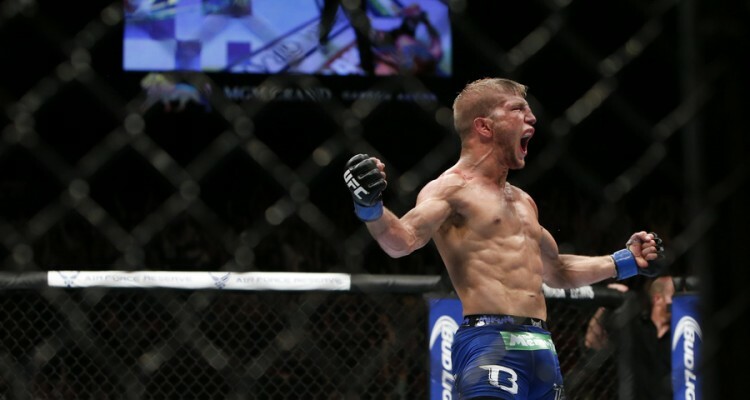 It was an incredible performance by Dillashaw, all due to the fact that he was able to do to Barão what Barão did to everyone else. Now, the question is, who will be the next contender for title? The name that everyone keeps coming up with is Faber. The only problem here is that the two are teammates at Team Alpha Male. Thus, they are unlikely to agree to square off. A case could be made for Raphael Assuncao to get the shot, considering Dillashaw took the spot that was originally awarded to him. Add in the fact that the two recently fought, with Assuncaco emerging victorious by split decision, and you may very well have your next contender for the title. In Bellator, the interim bantamweight championship was awarded to Joe Warren after he defeated Rafael Silva at Bellator 118. The victory for the former featherweight champion leads to a fight that will pit Warren against Eduardo Dantas to unify the titles. It is worth noting that for the first time, former bantamweight champion Dominick Cruz has fallen out of the rankings. It goes to show that staying active is truly important as far as fighter rankings are concerned. It will be Demetrious Johnson putting his flyweight title on the line against Ali Bagautinov in the main event at UFC 174. Johnson is the only fighter in the history of the promotion to hold the title, and he has successfully defended it three times. Bagautinov, on the other hand, is perfect in the UFC, with a 3-0 mark inside the Octagon. 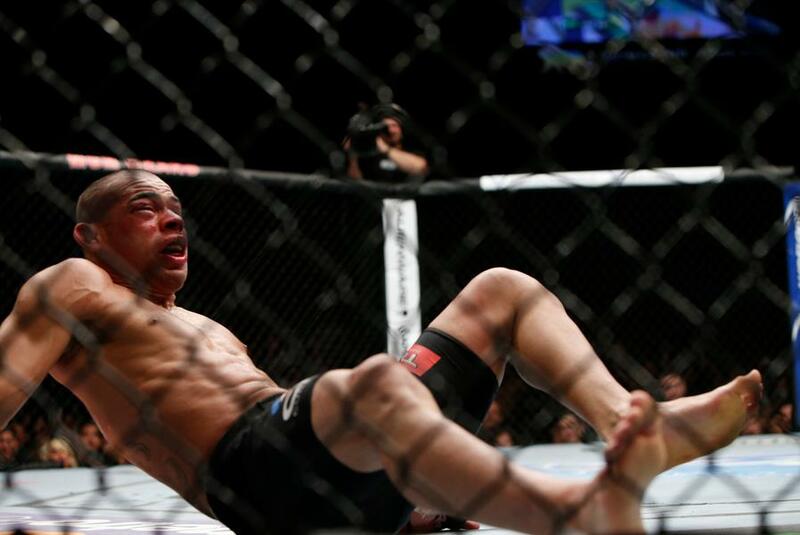 John Moraga and John Dodson have one big thing in common, and that is that their sole UFC defeats came at the hands of the champion. This should make for a great match-up when the two fighters square off at UFC Fight Night 42 this month. However, the big difference between their defeats against “Mighty Mouse” is that Dodson was able to control a lot of the action against the champion, whereas Moraga was completely overmatched. Also on the same card, it may be the last time we see Scott Jorgensen fight inside the Octagon if he loses yet again. “Young Guns” will meet Danny Martinez on the preliminary card and look to avoid his third straight loss as a flyweight. A loss would leave Jorgensen with a 1-6 record in his last seven. Winning solves a lot of problems, and it would likely allow Jorgensen to survive to see another day in the Octagon. A case could have been made for former bantamweight champion Renan Barão to live at the top of the pound-for-pound rankings. 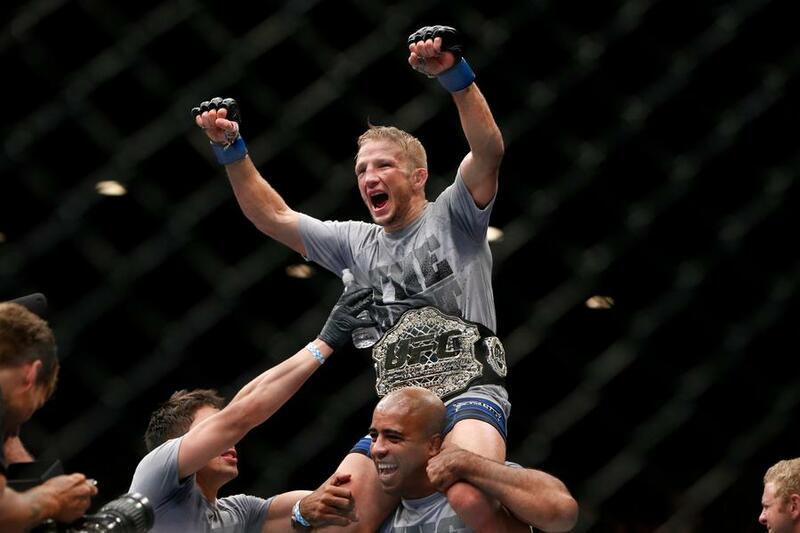 But that was before he was completely dominated by T.J. Dillashaw at UFC 173. Barão had previously won 22 fights in a row, with the last nine coming inside a Zuffa-owned organization. When it rains, it pours—the Brazilian fell all the way out of the rankings after previously being ranked at No. 4. It goes to show how quickly fighters can fall out of the pound-for-pound rankings. 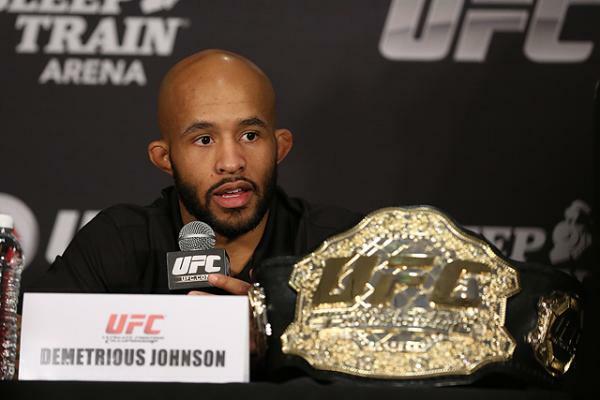 When Demetrious Johnson defends his flyweight title against Ali Bagautinov in June, he will also be putting his No. 3 ranking on the line. It would be difficult for him to move up in the rankings past Jose Aldo or even Jon Jones with a victory over Bagautinov, but it is worth noting that “Mighty Mouse” has been able to do something that neither of them have, and that is to dominate in two separate weight classes. 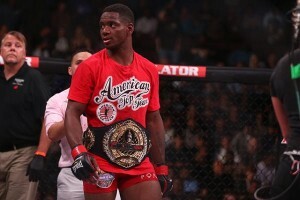 Johnson was one of the promotion’s top bantamweights, even going as far as earning a title shot at 135 pounds, before dropping to flyweight and controlling the division. At this point, it may simply be a feather in his cap, but it is something that should be considered in the rankings. Brian McKenna was born and raised in the suburbs of Boston, Massachusetts. A sports nut from as long as he can remember, he came to be a fan of Mixed Martial Arts from a roommate watching The Ultimate Fighter while attending Westfield State College. Brian came to writing by starting his own blog, Four Down Territory, which focuses on Boston based sports, life, and of course MMA.